With an extensive patent portfolio, Oryzon Genomics is the biotechnology leader in Spain and the leading epigenetics company in Europe. 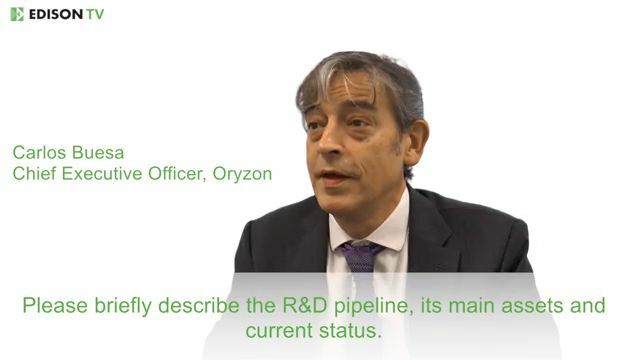 Oryzon is the leader in the development of therapeutics in the epigenetic target LSD1: Oryzon has a program in oncology, iadademstat (ORY-1001), in Phase IIa in leukemia and in small cell lung cancer (SCLC), another program in the field of neurodegenerative and neuroinflammatory diseases, vafidemstat (ORY-2001), with three Phase IIa trials in multiple sclerosis, Alzheimer's disease and aggressiveness, and a third program, ORY-3001, currently finishing the preclinical regulatory phase, focused on the treatment of non-oncological diseases. Oryzon also has other programs at early preclinical stage in other epigenetic therapeutic targets. Interview to Carlos Buesa, Chief Executive Officer, and Roger Bullock, Chief Medical Officer. Oryzon is in permanent contact with the main pharmaceutical companies with the objective of establishing collaborative alliances based on its research and development programs. To that end, Oryzon also has an extensive network of contacts and collaboration agreements with public and private scientific reference institutions, either directly or under the framework of public grants at domestic as well as international level.